I was training at my local gym wanting to compete in women’s figure. I was mostly training on my own and without any knowledge and no prior experience in a gym. Due to my lack of knowledge and training technique I dislocated my shoulder and was going to give up, with the support of my husband he encouraged me to continue. To succeed I decided to find the best personal trainers and facility around. After meeting with Mark I knew that Enterprise Fitness was exactly where I needed to be and it was the best decision I have made. I love Marks no nonsense approach to training and nutrition. 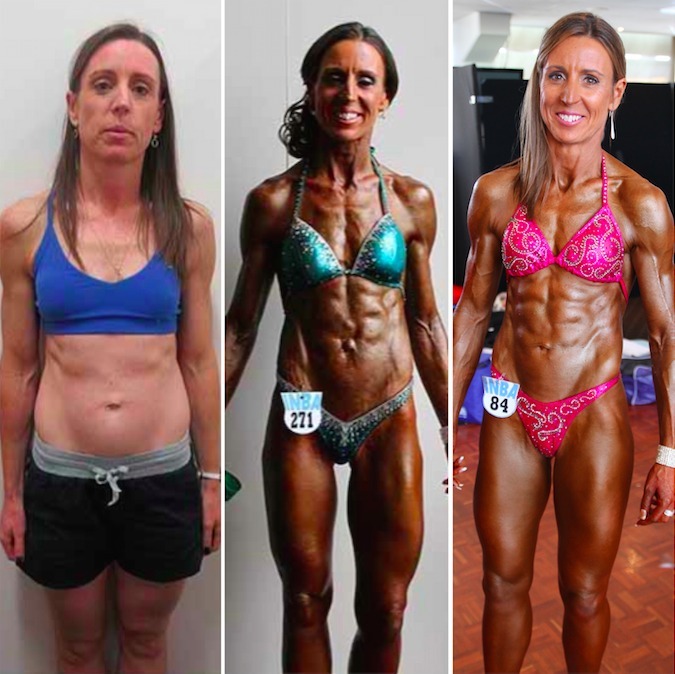 Being a busy Mum of three and having time commitments there personalised training program’s have taught me how to train smarter and have totally changed the way I think about nutrition. I noticed changes in my body in as little as 2 weeks of training and following Marks nutrition plan. It was hard at first to believe that actually eating more food makes you leaner and still getting stronger every week. I would like to thank the Enterprise Fitness team for there on going support and commitment and would highly recommend Mark and Enterprise Fitness to anyone that is wanting to achieve results. I truly cannot believe the difference in just 16 weeks, it still amazes me. My journey with Enterprise Fitness is only the beginning for me and I look forward to learning more and excited to see where the future takes us.